Professional football players today bear little resemblance to the ones who suited up in the past. 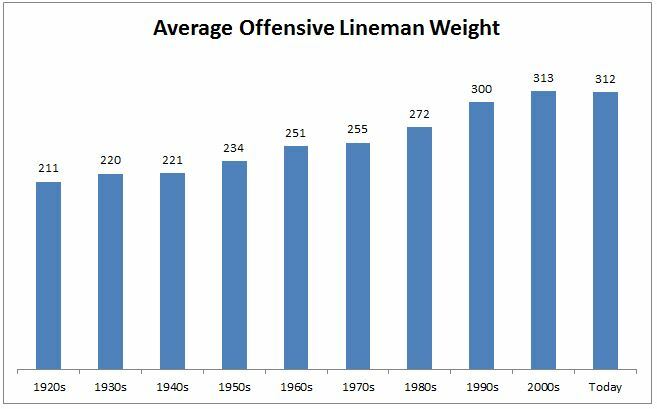 In the 1920s, the average offensive lineman- the biggest guys on the field- were 6’0 tall and 211 pounds. To put that in perspective, Odell Beckham, a smallish wide receiver is 5’11 and weighs 200 pounds. As NFL players grow bigger, stronger and faster, the standard deviation of play has decreased over time. This is what Michael Mauboussin refers to as the paradox of skill. Counter-intuitively, as the level of skill increases, luck plays a bigger role in the outcome. The standard deviation of batting averages was .0326 in the 1940s, when Williams achieved the feat, and was .0274 in the first decade of the 2000s. In statistical terms, hitting .380 in 2011 is the equivalent to the .406 that Ted Williams hit 70 years earlier. The paradox of skill has another name in football, it’s called the Madden curse. According to Wikia Gaming, the 23 cover players since 1999 had a total of 110 Pro Bowl appearances prior to their Madden cover appearances, compared with just 25 Pro Bowl appearances afterward. 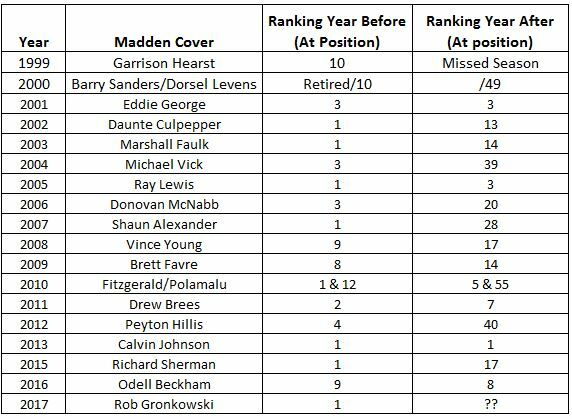 Below is a table of the Madden covers that shows something similar. Of the 23 players, only 3 have matched or exceeded their performance over the previous year. Players on the cover of Madden failed to deliver superior performance in the following year not because their ability diminished, but because a lot of things had to fall their way in order for them to remain on top. A few more missed tackles, one more touchdown, a few more yards, etc. Similarly, with investing, a lot has to go right in order for an outperforming manager to stay on top. 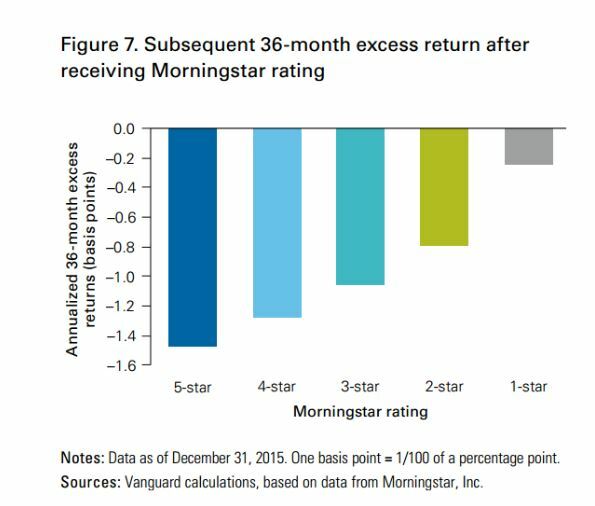 The best visual of this is a study done by Vanguard which shows three-year performance after a fund received a morningstar rating. 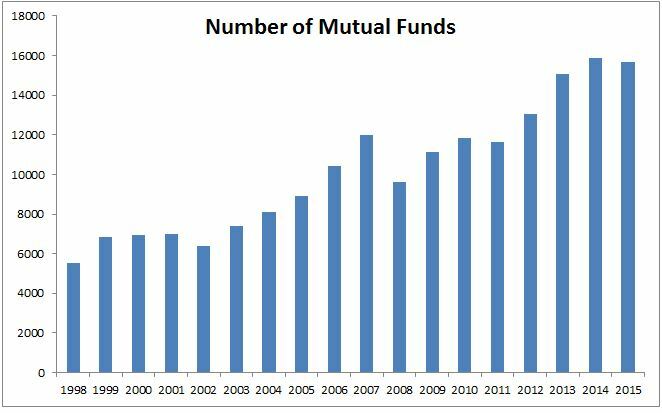 Competition in investing has also intensified over the years as the number of mutual funds tripled since 1998. Active managers have had a tough time beating the index not because they lack skill, but because they’re opponents have multiplied in number and in talent. According to the SPIVA Scorecard, “Out of 641 domestic equity funds that were in the top quartile as of March 2014, only 7.33% managed to stay in the top quartile at the end of March 2016.” In other words, outperformers are far more likely to come back down to earth than they are to continue their ascent. Investors, like professional athletes have gotten bigger, stronger and faster, which is why luck will continue to be a much bigger determiner of success than it was in the past.